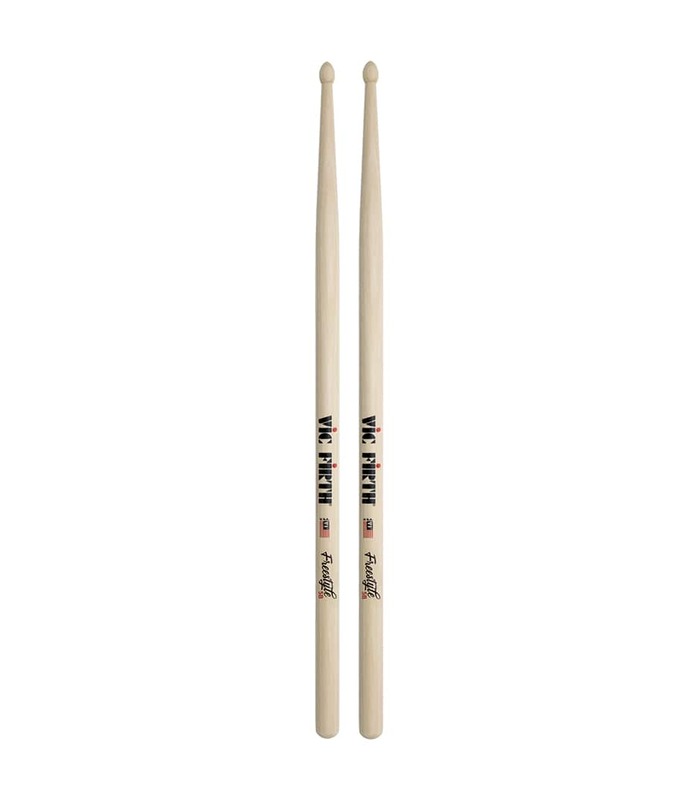 With their extended reach and familiar grip, Vic Firth American Concept Freestyle drumsticks are giving drummers more ways to personalize their sound. The Freestyle’s 17" length and exaggerated taper offer more than double the fulcrum area (sweet spot) of standard sticks, giving players more room to choke up or pull back for heavier hits and increased dynamic range. Careful matching by weight and pitch ensures that every pair of Vic Firth Freestyles arrives ready for action. If you’re looking for greater versatility from the sticks you love and the name you trust, consider the Vic Firth American Concept Freestyle series from Melody House. Fs5b American Concept Freestyle 5b from Vicfirth is 100% original and brand new. We, at Melody House take pride in our after sales service and support. For further details on the fs5b american concept freestyle 5b, Vicfirth, simply write to us to consult an expert or order online and we will take care of the rest. Happy Shopping!